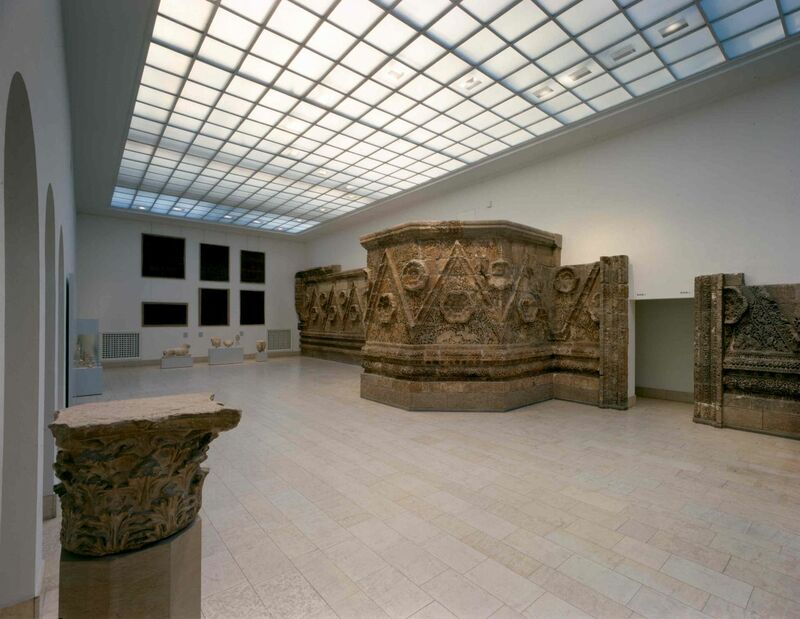 The Museum of Islamic Art at the Pergamon Museum Berlin is the only institution of its kind in Germany, the oldest in the West and with its c. 93,000 pieces it houses one of the world’s finest collections of Islamic art from nearly all regions of Islamic rule. Its collections are especially rich in objects from an architectural context including the monumental façade of the caliphal palace of Mshatta (Jordan), dating from the mid-8th century. 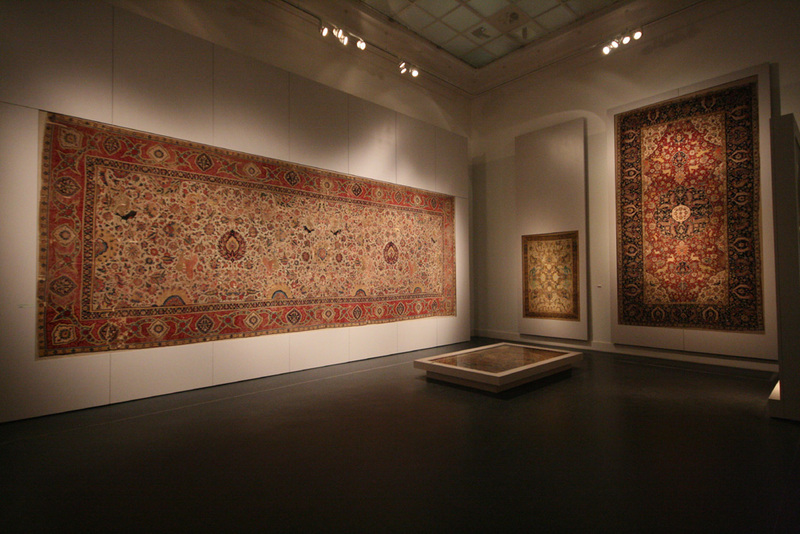 It is the largest artefact of Islamic Art in any museum worldwide. The unique dome from the Alhambra Palace in Granada (Spain) and 13th-century prayer niches from Kashan (Iran) and Konya (Turkey) are among the highlights. Most loved by our visitors is the finely painted wooden panelling of an upper-class house from Aleppo (Syria) from the early 17th century – it is the oldest surviving exemplar from the Ottoman World. Among the several archaeological groups from major excavations in the Islamic world the finds from the 9th-century caliphal capital of Samarra (Iraq) stand out. The collection also has a large number of important Ottoman and Persian carpets and bibliographical works of art, including numerous miniatures from the Mughal Empire. 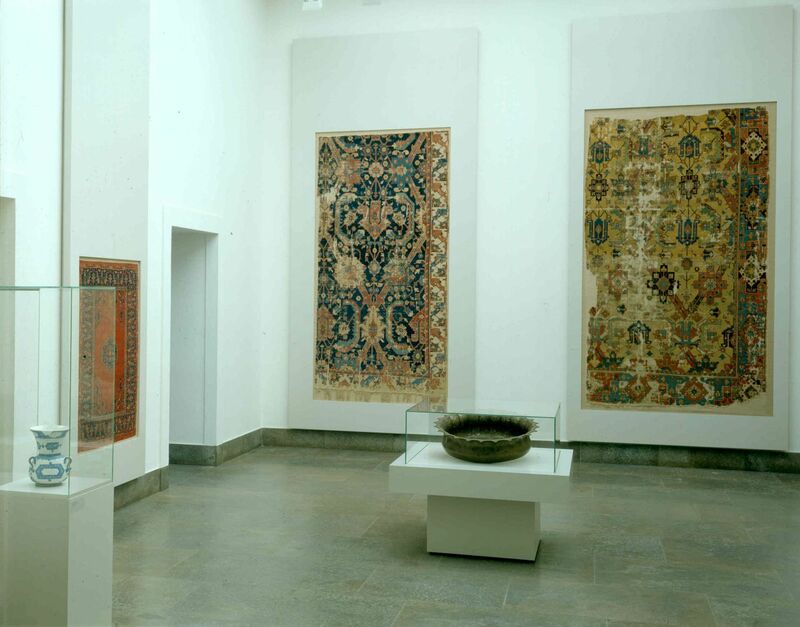 The collection is displayed chronologically, allowing the visitor to follow the different stylistic phases of Islamic art and to develop a notion of the complex Islamic history and its artistic merits. Because of the large number of visitors (up to 900,000 yearly), only a small number of the most important works of art are on display. 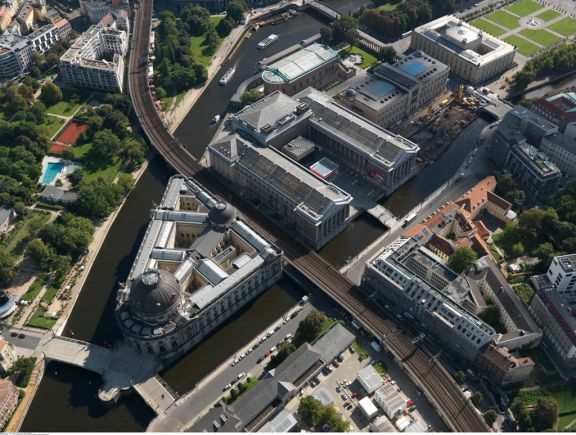 The museum will move inside Pergamon-Museum and will triple its exhibition space (3,000sq.m) by 2020. The layout and concept will discover new and innovative ways to present the cultural legacy. With its rich art and archaeological collection, the Museum of Islamic Art is one of the leading research institutions dedicated to the material culture of the Middle East and neighbouring regions. Our many research, conservation and exhibition projects amount to a probing investigation of the urban legacies of the Near and Middle East. The institution houses important collections of archival photographs on Islamic art and architecture as well as an internationally outstanding library focused on art, architecture and archaeology in the world of Islam.